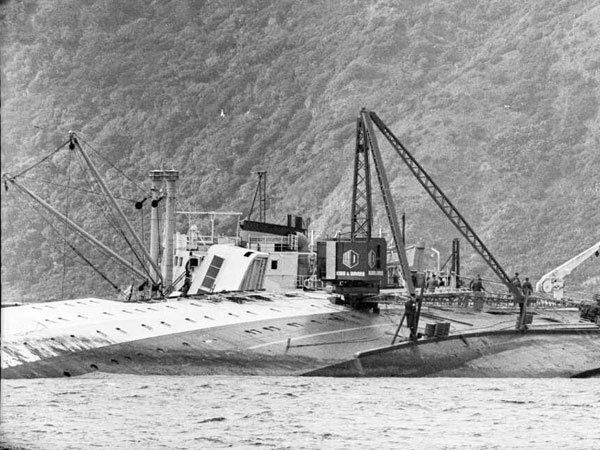 Wahine sank in 38ft of water and it was originally hoped that she could be refloated. 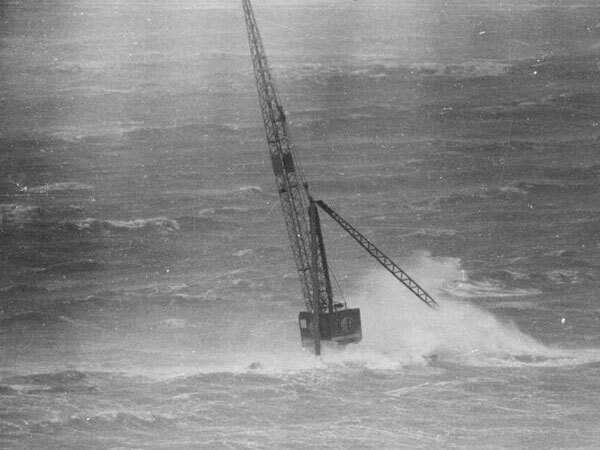 A storm in 1969 broke the ship into three pieces, however, and from then on the salvors focused on simply removing the wreck from the sea bed. 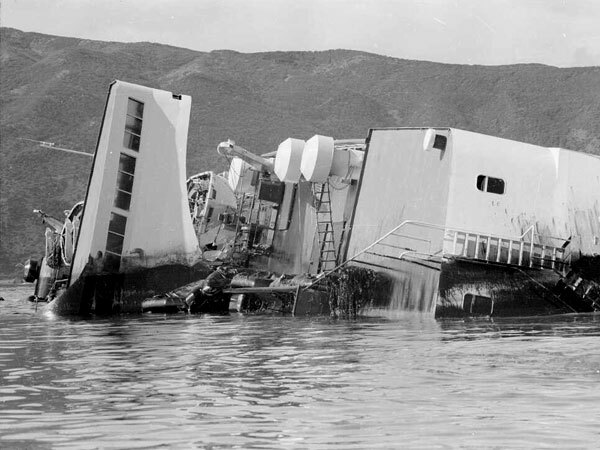 Wahine lies on her starboard side, stained by oil escaping from her tanks, 13 Apr 1968. 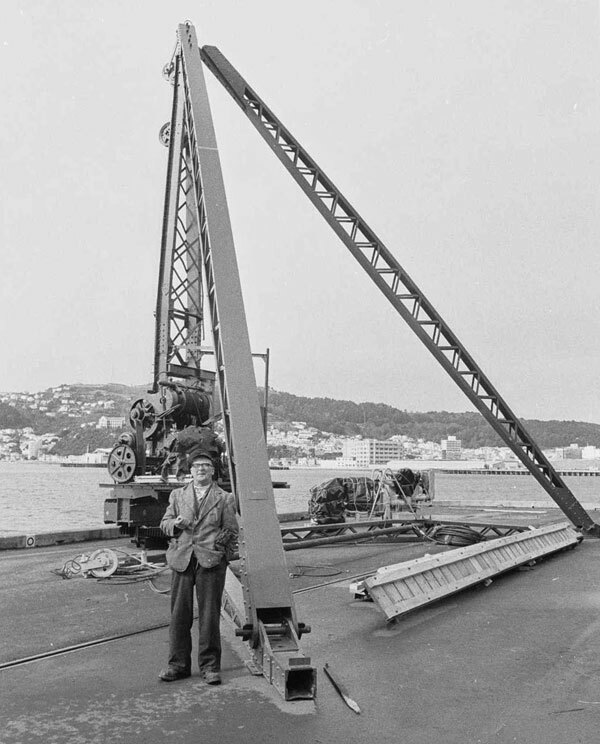 Derrick crane on Queen’s Wharf, Wellington, destined for salvage work on the Wahine wreck, 18 Aug 1968. 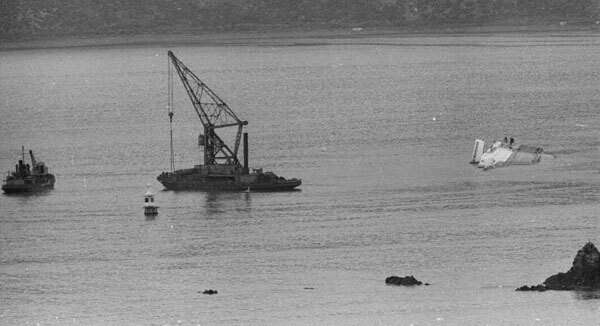 This crane was to be set up on the hull of Wahine in order to remove cars from the wrecked ferry. 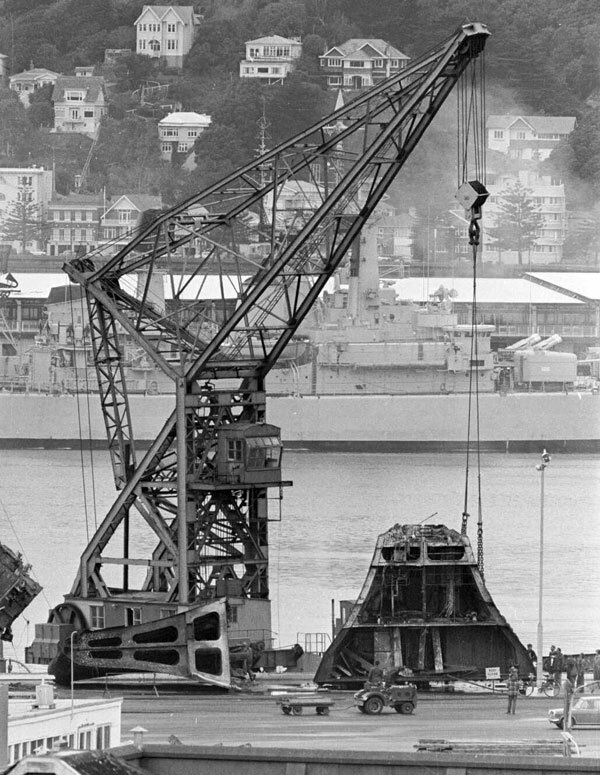 Crane positioned on the hull of Wahine, Wellington Harbour, 23 Aug 1968.